It's a new year, so naturally we all set some goals, make some resolutions and make some changes. Out with the old. In with the new. All that good stuff. Then we make an effort to put them into motion. So, starting now, I am taking this page in a new direction. I imported my other blog, BOLD & UNDERLINED, here to this page. I will no longer be using that blog. Why? I want this page, this blog, to be a more accurate reflection of who I am. What should you expect if you somehow wind up frequenting this blog? My hope is that you will find content that is encouraging and honest. I want to make 2014 and beyond truly about taking the next step in my life's journey and in my walk with Jesus. I want to inspire and be inspired. I want to learn. I want to grow. I want to be more faithful, more loving, more kind, more generous, more bold. There will be stuff about faith. Stuff about sports. Stuff about life. Stuff about dreams and goals and other things that might be going on in my head. I hope this blog will give you insight into my life and what God has been working in my life with the hope that it might also help you with what you might be going through. So where will this all lead? Who knows. I sure don't. 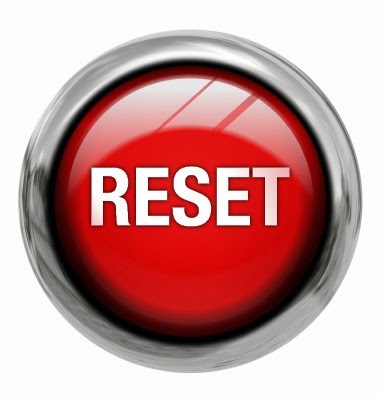 All I'm doing is hitting the reset button. Maybe we'll all find out together.